About Cirilli Law Offices, S.C. Choose the law firm that knows how to get the job done. However, we also believe that hiring a lawyer is an important decision that should be made carefully. Before you decide, call or stop by our offices and find out more about us, our firm and what we can do for you. 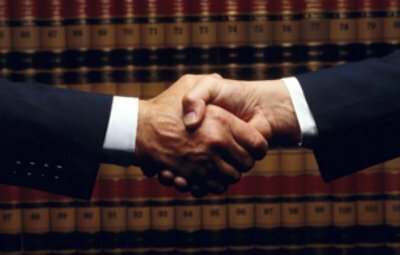 At Cirilli Law Offices, S.C., we’re confident that you’ll see that we are the law firm that’s right for you. Contact us today. Wisconsin Judicare provides funding assistance for legal services for qualified individuals in the State of Wisconsin. Cirilli Law Offices, S.C. has been a strong supporter of Wisconsin Judicare and was recently recognized for providing 25 years of quality legal services to qualified Wisconsin Judicare clients. Cirilli Law Offices, S.C. is the proud sponsor of the Cirilli Law Offices, S.C. / Albert J. Cirilli Memorial Scholarship presented annually to a graduating senior at Rhinelander High School. This scholarship has been presented to a graduating high school student for over 20 years, and it is our belief and hope that many of these students will be future community leaders in the Rhinelander area.